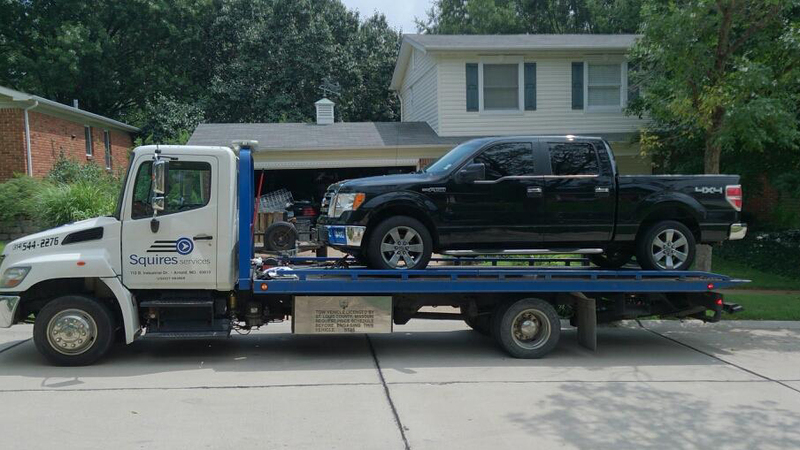 We specialize in all light, medium and heavy duty towing services. Our dispatchers provide true 24-hour personalized service, which means there is never an answering machine or answering service. 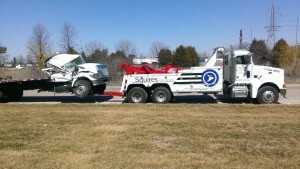 Our dispatch staff is trained to assess your requirements quickly and send the correct Squires vehicle on its way within minutes. Every safety precaution is observed to ensure a safe ride to your vehicle’s destination. From passenger vehicles and SUV’S, from motorcycles to RV’s, lock-outs to tire changes, 24 hours a day, 365 days a year, we will be there! The Tow Lots are located at 6666 Weber Rd., St Louis, MO 63123. OR 110-B Industrial Dr. Arnold, MO 63010. Please call to verify which location your vehicle was towed. If your vehicle is at the Impound Lot, bring the correct paperwork and form of payment listed below to avoid delays. Monday through Friday, 9 a.m. to 5:00 p.m. Vehicle title or current registration (can be retrieved from the vehicle if necessary). If the vehicle was purchased more than 30 days ago and the title/registration is not yet completed, the vehicle will not be released. The new owner must register it at the DMV first and bring in the new paperwork.